My father was a farmer at Hill Farm, Breighton, near Bubwith in the East Riding of Yorkshire. At the time of this little story the year is 1929. I was ten years old. The farm animals were like friends to me. I loved nothing better than to hold conversations with the pigs. I would sit on the wall of their stye, and in my own way would teach them any new lesson I had learnt at school that day. The horses too were my favourites, and I loved to see my father plait the shire horses' manes with special coloured ribbons. Sometimes he would give me some of the ribbon for when my mother plaited my hair. One day when I was at school, the beautiful black mare gave birth to a foal. Unfortunately the little creature had a blood disorder, and its bones were affected, which left it unable to stand. Therefore the little animal had but a short lifespan. Every day my father carried the foal out into the green field, and laid her on a ground sheet, whilst her mother grazed nearby, never going far away from her. He said he would let the mare have the pleasure of the foal's company as long as he could, but the day was not far off when the foal would have to be put to sleep. I know it gave my father much sadness to know the mare would not have the pleasure of seeing her foal grow into a fine healthy horse. This day my father carried the foal and placed her on the groundsheet. It was Saturday and I was not at school. I stood near the field gate, looking wistfully at the little creature, whom I thought should have a playmate. "The foal looks lonely, daddy", I remarked. "I wish I could play with her". My father warned me against this: "No, you must not go near that foal, it is too dangerous. The mare will be thinking you are going to hurt her little one"
He left me standing looking into the field. He was called away and I took my chance. He had gone with another farmer, and would not be back for ages. That meant I could sneak into the field and talk to the little foal. I knew I was doing wrong disobeying my father, but I did not see any danger. I opened the gate, went into the field and sat down on the foal's groundsheet, and I pulled its little head onto my lap. First I sang a little song to her, then told her a little story. Now came the idea of the daisy chain. I picked the daisies nearest to her. She watched me, and I explained that I was making her a necklace. I was convinced she understood my language. Unbeknown to me my father had returned and had just caught sight of me with the foal. At the same time the mare lifted up her head and saw that her foal was not alone. Hinging her head down she broke into a frenzied gallop towards the foal and me. My father was rooted to the spot where he stood, horrified at seeing the galloping mare. Nothing, he thought, could avert the tragedy he was about to witness. For one thing the mare was travelling too fast to stop and that meant she would, without doubt, trample me to death, to say nothing of the foal. But God that day was with us, because a strange thing happened. My father said, years later, it was just as if an unseen rider brought the mare to a standstill. The wild hoof-beats ceased at the edge of the groundsheet, and then the mare lowered her head and sniffed both the foal and me. At that moment I lifted up the daisy chain for the mare to see. "This is for your baby", I told her. "She will look pretty, won't she?" I showed no fear of the large horse towering over the foal and me. I took it for granted that the mare approved of both me and the daisy chain, because she turned and began walking away along the field, grazing and then looking back to where her foal and I sat. Seeing I was with her offspring, she went further up the field. My father was still marvelling at the sight he had just witnessed, and the change of heart the mare had shown. I never knew that my father had been in the vicinity, or seen anything until years later, when the old days came up in conversation. He really believed that an unseen rider brought the mare to a standstill. As I thought about this, and having had nursing training in Physiology, I reached my own conclusion. It is my belief that the scent of a human being is passed on to an animal. The mare, having sniffed both the foal and me, picked up the scent of my father on both of us. Her sense told her that the companion with her foal was the daughter of the man who carried her dying foal to the field each day. The mare realised she could trust the man, therefore she could trust the child. The sequel to that little story is as follows: After I had finished the daisy chain, I placed it round the foal's neck, dropping a kiss on her little head. I left the field to go to my dinner. When I was gone, my father took the little animal into the stable, because the vet had come, and the little creature's life was ended. I did not know until the after years that the foal was put to sleep with the daisy chain round its neck. 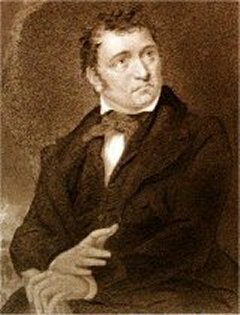 John Nicholson was born on November 29th 1790 in Weardley in the parish of Harewood. He was the eldest child of Thomas Nicholson, a man of industrious habits, who, with slight assistance from his father-in-law, had commenced business as a worsted wool manufacturer. When John was a few weeks old, his family moved from the parish of Harewood to Eldwick, near Bingley. Thomas brought up a large family and provided for a comfortable old age. As John grew to manhood, he was the exact opposite to his father. The only thing he inherited from his father was a great love of reading the works of Shakespeare, Milton, Byron, Pope and others. These he would read on winter evenings to his family, pointing out the beauties and exalted sentiments and all that poetry could teach in English literature. These poets kindled the flame burning in John's soul and gave him the literary genius that later became the mark of the Airedale Poet. Nicholson became a woolsorter when he left school. Being of unsettled mind, reading and poetry were allowed to interfere with his work, which is why he remained a woolsorter to the end of his days. His education at Bingley Grammar School taught him a world of sentiment, because he read nearly all of our English literary works. Alas, there was no method in his intellectual searching, because he did look for any particular branch of study to place him in a higher position in society. At night, reading affected his health. This caused his mother to hide the candles. Not to be put off, John made a lamp out of an old mustard pot, with a cotton cord twisted into a wick, which he fed with olive oil. In that way he carried on his learning when the family were in bed. Another thing he was fond of doing in his father's absence: he would creep away from work to wander on the wild moorland or the lovely dells of Eldwick, and read his favourite authors, absolutely lost in the thought that filled his youthful mind. Eldwick with its low mountain beauty gave much joy and inspiration. In one of his ramblings John carried with him a sharp instrument and scratched his name on the face of a rock in Lower Eldwick. It bears the name of Nicholson's Rock to this day. It is sad to know that his poems are no longer in print for people to take to read and enjoy. The saddest thing is John Nicholson met a sad and tragic death. On Good Friday, April 13th 1843 he visited his aunt on foot, and on the way there he called at several public houses to refresh his thirst. The way was long and John became unsteady on his feet. Having to cross the River Aire by stepping-stone, when half way across, he missed his step and fell into the deep part of the river. A half-witted person, hearing his cry for help, took fright and ran away, leaving John to perish. Two hours later, a farm labourer came along and brought his employer to the now fast-sinking poet, and at that moment John Nicholson, the Airedale poet took his last breath and died. On April 13th 1843, what would have been perhaps another Milton or Byron, John Nicholson was laid to rest in Airedale churchyard, at the age of 53 years. Maybe it is not fair to judge his poetry on the merits of Milton or Byron or the other poets, because he did not have the same chance in life as the greater poets did. This is one of Nicholson's poems, written to his future wife, Mary. I was very taken with the musical lilt, which can be found in many of his poems. But, I promised thee to meet. Yet thou listens for my feet. Each one happy with his lass. Which I have to wander o'er. Though the rills be swollen to floods? Can these stop me? Oh no, never! Yet I cannot, will not stay. On April 7th 1770, to Ann and John Wordsworth was born a son, William. His birthplace was a many-windowed Georgian house in the main street of Cockermouth, West Cumberland. Wordsworth's father, John was a textile fabric merchant, but became an agent for Sir James Lowther when he took the house. Four other children were born to that family, and the second was a girl, who was to become famous like her brother. She wrote the beautiful "Grasmere Journals". In 1778 Ann Wordsworth died, and the children were split up. William was eight years old, and along with Dorothy went to relatives at Penrith. William attended school at Hawkshead. John Wordsworth lived on in the Cockermouth house. Although this was no longer William's home, he spent many happy holidays whilst his father lived there. In 1783, during one of his holidays, William's father died, just a few years after his mother. The bulk of John's fortune consisted of money due from Sir James Lowther, because the claim was not met for nineteen years. Uncles Richard and Christopher cared for the children, otherwise they would have known great poverty. Wordsworth sincerely loved the place where he was born, and although it appeared to him as a poor district, he wrote of it with feeling in his epic poem "The Prelude". Than any other nook of English ground." I feel I am a man." Much favoured in my birthplace"
Any scholar approaching Wordsworth for the first time should start by reading "The Prelude". By doing this he will come to recognise the true William Wordsworth, step by step, through this beautiful work, which is a poetical autobiography, and William's life story can be followed. This was always my favourite when at school. I was lost in this work, because I felt I was living it with him! In1787, at seventeen, Wordsworth went to Cambridge and graduated at twenty-one, taking a Bachelor of Arts Degree in 1791. After leaving Cambridge, he went to France, drawn there by the unrest of the Revolution and the political beliefs of the Brotherhood and Freedom. It was there where he began writing some of his verses. Whilst living in his top-floor room in Paris, he could hear the mob delivering their speeches. He longed to be part of that, but his uncles stopped his money and ordered him to return home. While he was in Paris he had a love affair with Annette and this resulted in the birth of a daughter, Caroline, but he was always true to Annette, and faced his responsibility. In 1793, Wordsworth nursed his friend, Raisley Calvert, who died and left him £900, which enabled him and Dorothy to take up residence in Crewkerne, Somerset. In 1799, brother and sister moved to Grasmere. Wordsworth acknowledged the love and devotion that Dorothy gave him, from their carefree days of childhood until her last infirmity, which cast a cloud over her mind. In 1802, William married Mary Hutchinson of Gallows Hill Farm, Brompton in the North Riding of Yorkshire. In 1808, they moved to Allanbank, Grasmere, and five years after that to Dove Cottage, Ryedale Mount, which is now in the care of the National Trust. In 1842, Wordsworth became Poet Laureate and was placed on the Civil List with an annual pension of £300 for life. It has been said that he was a poet of Nature. No one can disagree with that, but he was much more than that: his mind was of the greatest poetical maturity, and his sonnets and poems are of the highest intellect. He is also a humanist, strong-minded and independent, and Man was his main study. William Wordsworth died on April 23rd 1850. He and his wife Mary, along with members of their family, sleep in Grasmere churchyard, and the quiet waters of Ryedale ripple gently on. Sleeping by the singing brook. Will thyself be ne'er forgot. Thy name lives on for ever more. And hears thy voice in Winter's gale. Lord Byron is one of our greatest poets, yet has been much undervalued in Britain. He must have been born under an unlucky star, because nothing brought him happiness in the true sense of the word. It is true he found fame, but that did not bring him the happiness he really needed to make his life complete. Born of unstable parents, there is little wonder he became defiant and wilful, with a melancholic personality. His father, John Byron, a captain of the guard was known as "Mad Jack", because of his wild, reckless and shamefully immoral ways, some of which may have been passed on to his son in his later years. His mother, Catherine Gordon, of Scottish birth, was very temperamental, given to wild outbursts of fury one moment, then the next showing a gentle loving nature. These mood swings had a lasting effect on Byron. Catherine was also besotted by her worthless husband, never restraining him when he squandered her inheritance. George was born in London in the year 1788; with a deformity of the foot known as "club foot", so misshapen it gave the appearance of a club, and caused a limp. His mother was so horrified at her son's deformity that she called in many doctors, most of them quacks, who could not rectify the misshapen foot. It must be understood that little was known about this infirmity, therefore there was no specific treatment that could be carried out. Later on his life, a prominent person took Byron to a boot maker in London, who made him a boot that afforded some relief, but did not cure the limp. This of course made Byron feel stigmatised. When he was four years old, Captain Byron deserted him and his mother. Catherine took her son back to her native Scotland, there to live on £130 each year. Dropping the name Byron, she gave George her maiden name, "Gordon". He was known as George Gordon for some time. He was still at school when he was told that, by the death of his great uncle, he had inherited Newstead Abbey in Nottinghamshire, and the title of Lord Byron. This new found luck altered the poverty-stricken circumstances of his mother and himself, although it did not bring much wealth, and the Abbey itself was in need of repair. He had no luck with women. While at school he fell in love with Mary Chaworth of Annesley Hall, not far from Newstead. This young lady did not return his love, and this made him bitter. She also made nasty references to his deformity, which he overheard, and he never forgave her for it. When Mary married the man of her choice and the marriage did not work out, she returned to Byron, expecting him to sympathise and be willing to offer her his love. Her efforts were in vain; he ignored her pleadings and refused to have anything to do with her. Lady Caroline Lamb, the daughter-in-law of Lady Melbourne, attached herself to Byron. She was a very obstinate woman, and liked things her own way. She quarrelled with Byron and threatened to kill him. She did attempt it with a large piece of broken glass, but the only injury she did was to herself, by cutting her hand. Byron called her a "dangerous woman", and ended the friendship. Augusta Byron Leigh was the one woman whom Byron swore he would love forever, and although they were sometime lovers, the union could never be - they both had the same father, Captain John Byron. Augusta did not mind the role of lover, but to give Byron his due, he was undecided about it. Through this indecision, he was inspired to write "The Corsair". Eventually Byron married Anne Isabella Milbanke, a niece of Lady Melbourne. He was by this time drinking heavily, gambling, associating with rowdy friends, and altogether leading a wild life. Anne disapproved of his ways, and he disliked her prim and proper ways. Within twelve months the marriage was over. There was one child of the union. People began to jeer at him for his marital unhappiness, his bitterness began to rule him, and there was no way out of the dark maze he found himself in. He published his first poems, "Hours of Idleness" when he was nineteen. These were rudely ridiculed by an Edinburgh reviewer. Byron retorted in fury with "English Bards and Scottish Reviewers", which hit out at some famous names. He believed that "the pen was mightier than the sword". After he took his seat in the House of Lords, he began to travel. He gives a beautiful description of this in "Childe Harold's Pilgrimage". "The Giaour", "Bride of Abydos", "Corsair" and "Lara" have at their centre a projection of himself. With all his ildness and stormy bitterness, he had a divided mind. Although he mocked other people, he gave much praise to Dryden and Pope. He was very outspoken, and his "Don Juan" has many scornful digressions. In this, Byron wreaks his wrath on Society. In 1824, he left England for good, travelling to Greece to help the insurgents of that country fight the Turkish oppressors. He died at Missolonghi as the result of a fever. He was only 36 years old. Byron's poetry is his autobiography, and well worth reading. One can only feel sympathy for his unhappy life. He had so much to give, but by a cruel stroke of fate, he was denied that privilege. The poetry of John Milton is a joy to read, and in my opinion deserves the highest praise. I was at the school desk when introduced to this dedicated poet. The two masterpieces L'Allegro (The Cheerful Man) and Il Pensaroso (The Pensive Man) were the simple pieces my class were expected to read and learn. We all had copies of Milton's works, and were allowed to take these home if we wished. I took advantage of this privilege, because I went further into the book, and found his two famous epics "Paradise Lost" and "Paradise Regained". I was enthralled. I felt as though I was being transported into a new world. Maybe I was too young to realise I was reading some of the greatest works in English literature, and too young to understand what they were all about, but I read on, fascinated. Today I still read the works of John Milton for pleasure, and understand them. The poet was born in 1608 in his father's house, above his business shop in Bread Street, Cheapside, in London. Milton senior was a scrivener, with other business callings at his command e.g. financial advisor, and sometime lawyer. Although successful in his business ventures, he never left the house over the shop for many years. John grew up and began his school days at St. Paul's. At the age of 16, he entered Christ's College, Cambridge. There he began to write poetry, but he was also surrounded by problems. A Fellow at Cambridge who was a narrow minded ecclesiastic drove Milton into opposition, which was to influence his opinions in later life. He was sent down from Cambridge for a short time, because his mind could not limit itself to the then up to date theological ecclesiastic tests. Milton never had a submissive mind; his thoughts and his opinions were born as he went along. He enjoyed music, society, landscape and study. There is no wonder music played a part in his life, for his father was a composer as well as a businessman. He was not a master musician, but good enough to be recognised by those that mattered. John was brought up surrounded by this, and that is why his poetry moves with such a lilt. You can hear the rhythm in each poem. John's father decided his son should travel through Italy. He stayed in that lovely country for twelve months. He passed through Florence, Venice and Rome, where he enjoyed paintings, music and poetical circles. Much of the Italian influence runs through his own poetry, because whilst there he produced much work of a rich quality. Milton's happy stay was brought to an end because of the Civil War, which overthrew the monarchy, and brought about the Parliamentary Wars. When he arrived back in London, he opened a small school, but this life did not suit him. He was too bound up in political feelings. His tastes and ideas were for the King, but his protests and convictions were for Oliver Cromwell. He wrote violent pamphlets that proved he had a social conscience. His public-spiritedness made him write for the times in which he lived, and in these he gave as much as he got. At the age of 40 he became Latin Secretary for Cromwell. This work meant translating into Latin the letters sent to and received from foreign states. He kept this office until Cromwell's death in 1658. He carried on in the same work although his eyesight was failing. In the past he had been an avid reader and had kept late hours reading by candlelight, which impaired his eyesight. To help him now he had Andrew Marvell, the Hull-born poet as his assistant. The two became good friends. Milton believed in individual freedom. He made a speech for the liberty of unlicensed printing in 1644, towards the end of the struggle between King and Parliament. This struck a great blow for press freedom. Milton's forceful logic passed a death sentence on the whole system of licensing and censorship, but it did not pass away for some time. His courage was unquestionable, and it is a great wonder he escaped with his life. Maybe he had friends in high places! Before he could do this, Mary returned, and asked his pardon and to be allowed back into his house. He both pardoned her and took her back. Mary stayed with him this time and bore him four children, but died in childbirth with the fourth. Four years after her death, he married again, but this wife died within the year. Milton wrote a beautiful sonnet to her memory. In 1665, he married again, but his third wife survived him by 53 years. Now totally blind, John Milton died in 1674, nearing his 66th year. We should be grateful that his politics and religion were inborn within him. English literature would have been one master poet less had the name of John Milton not been added to her list. The day I gave up smoking was the most memorable day of my life. I will never forget it because it was New Year’s Eve 1982, 23 years ago. It was a New Year’s resolution and, I may add, the only one I have ever kept. I started smoking when I was twenty one years of age. World War II was in progress then and I had to do war work. I chose the nursing profession. Leaving my Yorkshire home, I began my career in Gateshead, on Tyneside, at High Teams Hospital, now known as the Queen Elizabeth Hospital, Gateshead. I travelled on the Flying Scot to Newcastle on Tyne. This particular train travelled to Edinburgh, stopping at Newcastle. It carried the troops, ammunition and ordinary passengers, and was quite a pleasant run. The smoking went on and I was now going through forty cigarettes each day. Then the unbelievable happened. Time had passed and I was now married with four children grown up. My son, John on this New Year’s Eve said to me “Shall we stop smoking and make this our New Year’s Resolution? We will smoke our last cigarette at 11:45pm then stop.” I agreed and this we did. Heavy smokers take heart. You can break the habit! It is you and you alone that can do it. I always think it sad to see, laid in some neglected spot, a once-prized possession that has, through the years, given long and faithful service. Motorised things are, like human beings, subject to wear, but unfortunately machines do not always find a new lease of life, and their fate is the scrap heap! But some do have a new beginning in the shape of an enterprising "surgeon" who comes along and resurrects that worn and crumbling machine. I had news recently about a young man, a friend of the family, who has labelled himself a "barmy mechanic". It sounds as if he has become smitten with uncontrollable madness! Why, I ask myself, has he labelled himself with this title? The answer is simple: he is like the "Good Samaritan", and cannot pass by an old worn-out tractor without trying to bring it back to its former state of being. His name is Martin Jones, of Bayston Hill, Shrewsbury. Renovating lifeless tractors has become his dedicated work. He is always happy when working on a cast-off machine that has seen better days. He loves to see that dead piece of metal back on its four wheels, with its chassis once more gleaming, and life throbbing in its newly renovated engine. When Martin's skilful hands have brought it once more to its former glory, its previous owner would not recognise it. This has filled him with satisfaction and given him renewed vigour to carry on. He has two willing helpers: his wife, Jean and his twelve-year-old daughter, Samantha. This makes it look like a family concern because these two feel part of his worthy endeavour. Each year, Martin has one of his "resurrected" tractors on view at the West Midland Show ground in Shrewsbury. What a feeling of fulfilment it must be for him and his family. Not only has he this great gift of restoration, but a sense of humour to go with it. Often when he and his friends, who are renovators too, go on weekend rallies, they stay in tents. They are never sure what pranks are going to be played on them by Martin. Fortunately the campers know he has a sense of humour, and take it all in good part. There is no depression during the weekend, and it is laughter all the way. No wonder he is so successful in this work he has chosen to do. Though it is hard work and costs money, his wit, skill and expert knowledge make it possible for him to triumph. May he carry on "breathing life" into these worn-out tractors; if he is "barmy", as he calls himself, then he is also worthy of recognition. Long may he grace the West Midland Show field! Floreat Salopia! Who restores worn-out tractors without fuss or panic. Martin's workmanship is skilfully applied. This wizard mechanic is hard to beat. The repairs he does are exquisitely neat. He has two helpers, who like him are keen. They are daughter, Samantha and loving wife, Jean. Works night and day his dream to fulfil. And will keep on doing so for many years more. There's another side to this expert, I hasten to say. Hilarious pranks on his colleagues he loves to play. But the humour behind it they all know and like. To Martin Jones let's raise the glass. We cannot let this moment pass. With our hero these two pastimes fit. At rallies and shows there's no sign of depression. Who gives life to old tractors without hassle or panic.